After his escape from Nazi-Germany, Josef Ganz eventually settled in Switzerland in the summer of 1935. Here he demonstrated his Maikäfer prototype and a Standard Superior before representatives of the Ministry of Employment. They responded enthusiastically, saying the Maikäfer had “astonishingly good road holding and an ability to cope with open terrain”, and they resolved to investigate opportunities for producing such a car in Switzerland. In October 1936, a contract was signed for the development of a Volkswagen according to Josef Ganz’s Swiss patents. 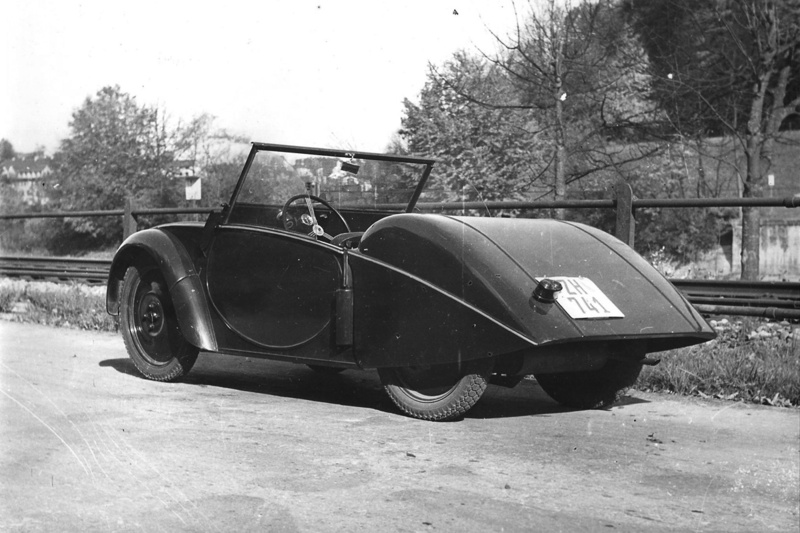 After several months of design work, three prototypes were built in the course of 1937 by Motosacoche in Geneva. They initially used a Standard Superior chassis and its original two-cylinder engine. 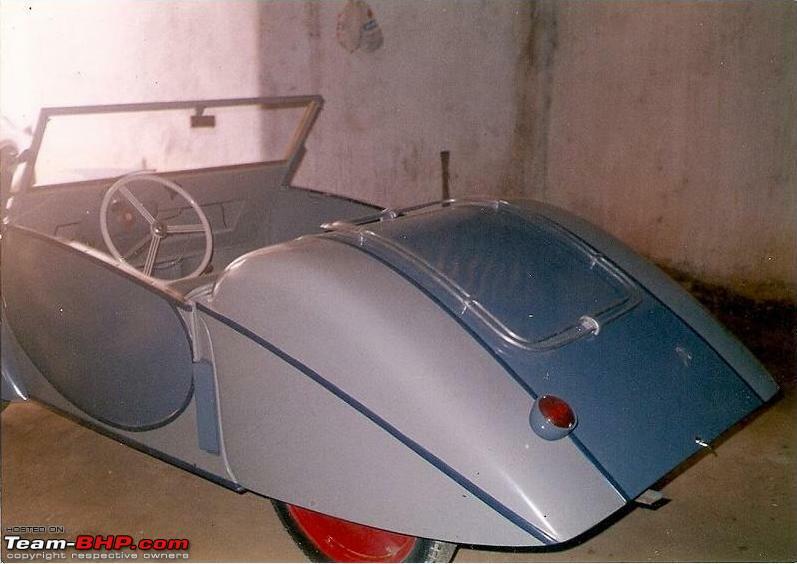 A second prototype chassis had a smaller one-cylinder, two-stroke, 350 cc engine. The Swiss Volkswagen had a backbone chassis with the engine and gearbox mounted immediately in front of the driven rear swing axles. The Swiss Volkswagen prototype had a streamlined convertible bodywork with two seats, looking much like the original Ganz design of 1923. The entire back shell covering the rear wheels, engine space, and spare wheel hinged up. 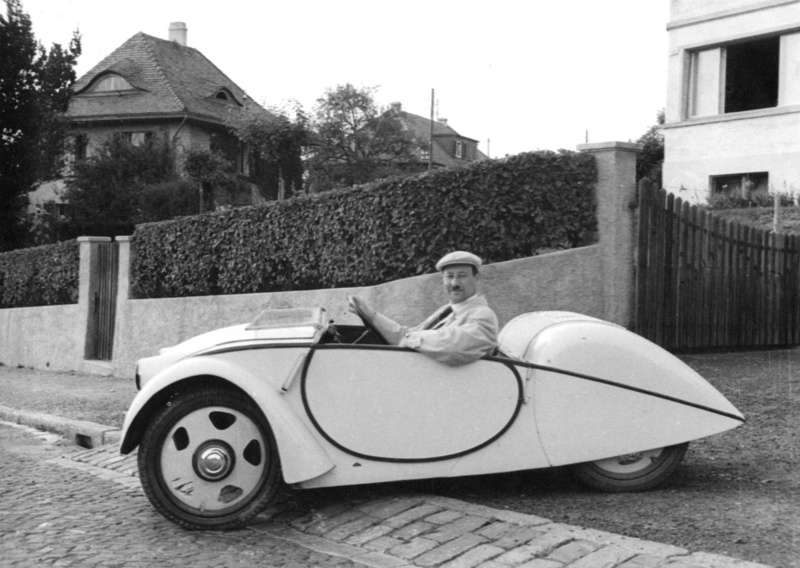 Ganz had deliberately opted for an open two-seater because it was the cheapest to build. He believed there was a market for a larger, closed, four-seater car, but it would be 30 percent more expensive, which would lose it 90 percent of it potential buyers. Josef Ganz thoroughly enjoyed carrying out comprehensive test drives in the Swiss Volkswagen prototypes. 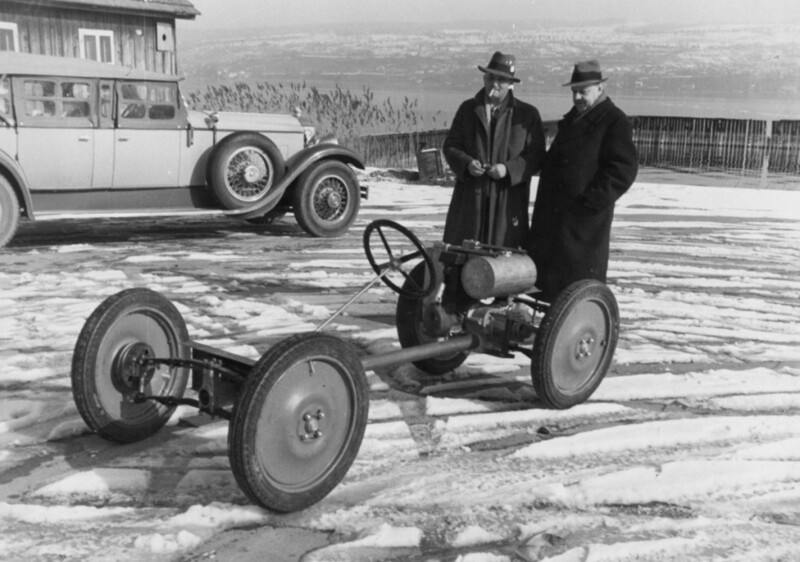 In October 1938, a thorough six-day test drive was carried out with one of the prototypes, driving all over Switzerland. The final report concluded that the test drive had gone “splendidly”, aside from a few minor problems. 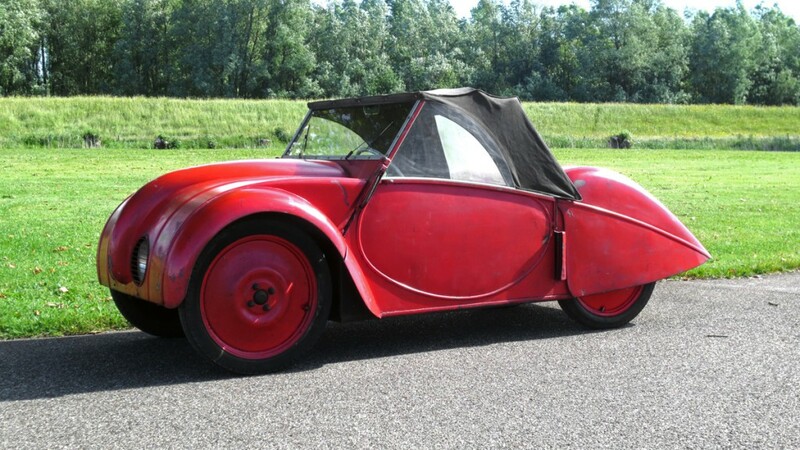 Nothing seemed to stand in the way of production, and Rapid Motormäher AG, a manufacturer of motorized agricultural machinery, was contracted to build twenty to forty pre-serial cars. While plans were being drawn up for production in Switzerland, as well as licensed production in Poland and France, war broke out. All plans were halted over the next five years, and Josef Ganz narrowly avoided either imprisonment in a labor camp for immigrants or being handed over to the German authorities. After World War Two, Rapid did manufacture around 40 pre-serial cars, but a larger series was never realized. As far as it is known today, three cars of the pre-serial production run of the Swiss Volkswagen by Rapid still exist. 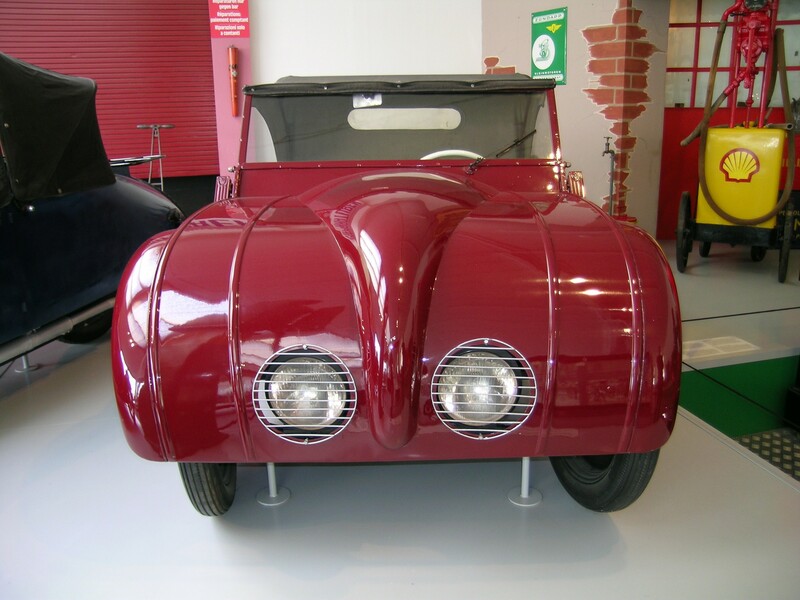 One unrestored car is on permanent display at the Louwman Museum in the Netherlands, one restored car is on permanent display at the Verkehrshaus Luzern in Switzerland, and one car is apparantly owned by a collector in India, but its exact whereabouts are unclear. 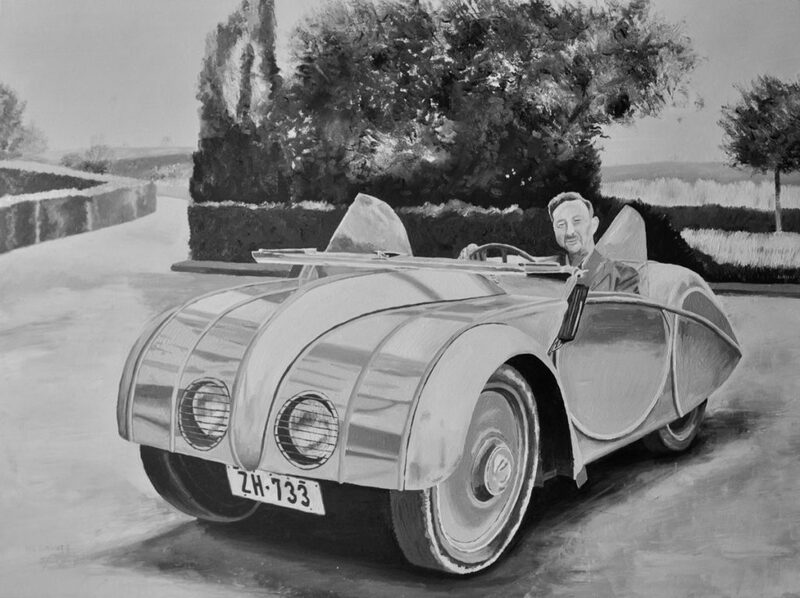 Guatemalan/Swiss Painter Hugo Godinez Solórzano created a beautiful 95 x 70 cm oil painting of Josef Ganz in the aluminium-bodied Silberfisch, one of the pre-WWII prototypes of the “Swiss Volkswagen”. You can buy this painting and support our projects. By donating €3800 with the below PayPal button you will receive this unique painting of Josef Ganz in the “Swiss Volkswagen” by Guatemalan/Swiss Painter Hugo Godinez Solórzano + a signed biography of Josef Ganz. Oil on canvas, 95 x 70 cm, including hand-made high quality frame from Einrahmungen Godinez. €2000 will be paid to the painter while €1800 will be used for our projects. Please note that additional shipping charges and/or taxes may be applied.